Don’t Forget to eat your packaging after drinking your water! All over the world, we are teaching kids and adults about recycling things properly. What if we came to a point where we don’t even have to recycle everything? What if we just ate the packaging? No seriously, I think we are getting somewhere with this. 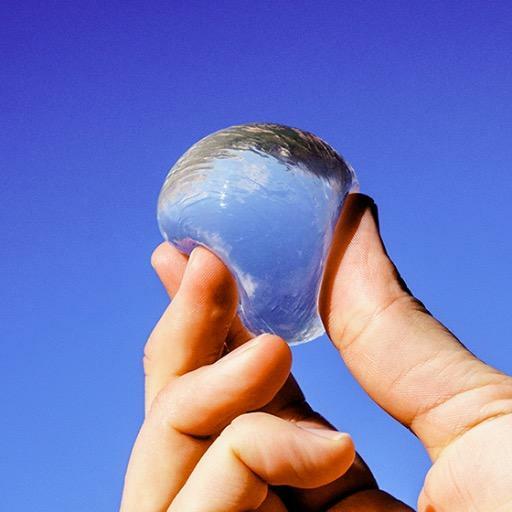 The UK-based startup Skipping Rocks Lab has invented their first product: an edible water bottle that you can literally just eat the packaging of the water after drinking it or just consume the whole thing at once. This means no more stacks of empty water bottles in your room after a night of heavy partying. On a more serious note, their goal is to make packaging waste disappear. Let’s back up a bit. You have probably seen the videos and photos of this going around on your social media feed. This product is called ‘Ooho’ and it has been blowing up the internet. (Talk about the next viral hit product.) Skipping Rocks Lab raised almost £800,000 (close to $850,000 in US dollars) in their campaign on Crowdcube. So what is Ooho really? And how can we possibly eat the packaging? Well, the packaging is made from seaweed extract and it’s completely biodegradable. To create the edible sphere packaging, they dip a block of ice in a calcium chloride and brown algae solution and this creates a membrane around it. The edible sachets are flexible and you can either drink it by tearing a hole in it and pouring it into your mouth or by just consuming the whole thing as it is, but of course, you’d first have to peel off the outer layer. Neat, we know. According to Skipping Rocks Lab, the packaging is cheaper than plastic and can hold any beverage like soft drinks, spirits as well as cosmetics. Supported by the Climate-KIC accelerator based at Imperial College London, Skipping Rocks Lab’s ultimate goal is to reduce the impact on the climate by plastic waste and packaging. They have been working on this for two years. They have been selling Oohos from pop-ups in London for the last six months. According to Skipping Rocks Lab, they will be using half of the crowdfunded money on developing a machinery and with the other half they will be researching the material and finding a faster way to produce it commercially.